What is Nalpamaradi Kera Tailam used for? Nalpamaradi Kera Tailam is a product come from Kerala Ayurvedic practices and it helps in curing skin related problems. This classic formula helps skin glowing, reduces acne, dark spots & stretch marks and slow down the aging effects. 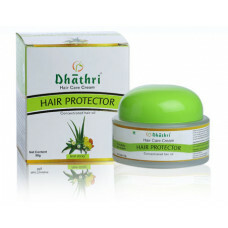 It moisturizes and nourishes the skin and can be used on face and body. 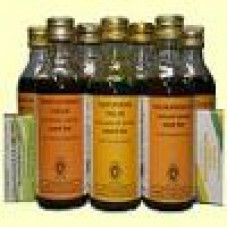 · Reduce dark spots and stretch marks. · Nourishes the skin & Moisturizes it. 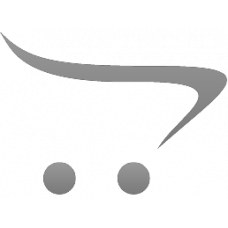 How to Use Nalpamaradi Kera Tailam? 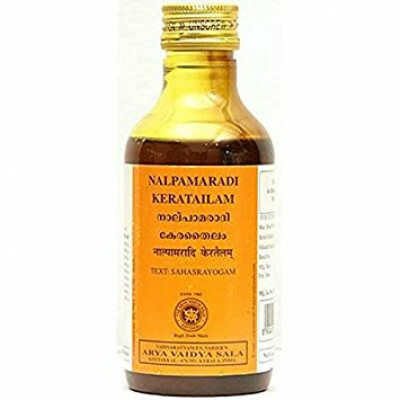 Nalpamaradi Kerathailam oil is meant to be an external application only. For babies, massage it 15 to 30 minutes before bath, same can be used by adults as well then Wash off with water and soap. It can be used for a very long period of time or as advised by the doctor. Question - How long does it take to show results? Improvements can be appreciated in about 10 days’ time. Question – Is there any Side effects? There are no recorded side effects with this medicine but sometime people with oily skin get pimples.